When I wrote Hell Spawn, I was shooting for a police procedural that became a horror novel. Check that. When I wrote Death Cult, I was told it was okay for me to start things a little faster this time. Never tell me that the pace must go "faster." I will accommodate you. Then probably run you over. Despite opening book 2 with a zombie attack and ending it at raiding a death cult compound, one beta reader told me it was "too slow." That's probably even worse than telling me the book needs to be faster. So Infernal Affairs started with a church shooting during mass. Shot priest. Screaming civilians. Then the SWAT team knocked down our hero's door. Then the full frontal assault. Then the chase throughout New York and New Jersey. The balrog on the highway. The parkour chase over Manhattan with hellhounds and MS-13. You know, the little stuff. So this one was more of a chase book than anything else. Less horror, more urban fantasy. No modern politics, a little investigation, but a lot of fighting the forces of darkness. I had to tie it all together and make it make sense. I think I did a fairly good job of doing that. Now our heroes have to find out who the warlock is before the warlock gets them. It's going to be quite the bloody mess. Yeah. If you had even HALF as much fun reading this as I did writing it, you should just bulk the series in hardcover as a set so you can gift it to friends ... or to people you want to piss off ... or both. 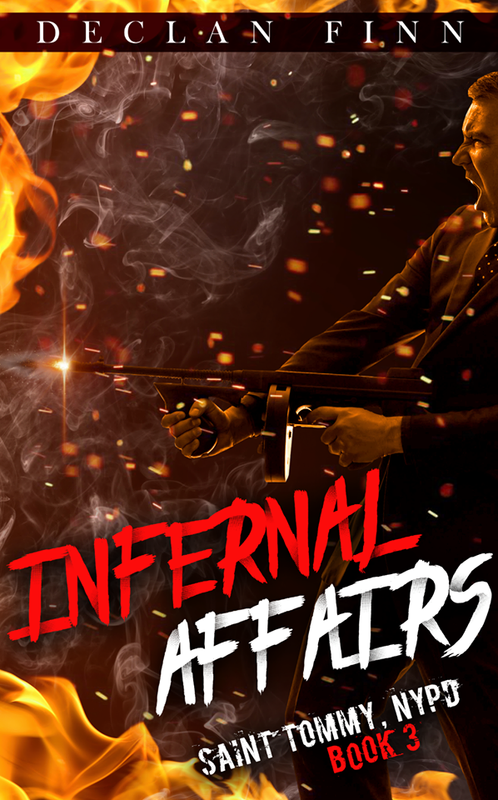 Anyway, Infernal Affairs. It's out and ready for the fun to start. 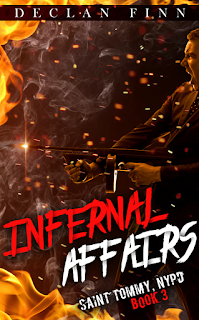 While you're waiting for Infernal Affairs to arrive in the mail, or download, then I ask you stop by the Amazon pages for Hell Spawn or Death Cult and leave a review. Trust me, they help.